At MoHo we work with co-creative processes in which we engage users as design partners in order to create optimal solutions that meet the users needs. As architects our processes are based on the principles of the design processes. All processes are tailored to each course and attuned to the individual project and to the users. We believe that more than just the leaders must be involved if the solutions are to be optimal. Within the field of education we therefor involve children, teachers, management and other personnel. Through these processes, we not only focus on creating new solutions, but also to raise awareness of the importance of the physical framework and application of these in order to implement new approaches on site. Co-creative process is an approach that’s always based on the users; it is crucial that the development comes from here. It is important that multiple parties are involved equally in the process and that these collaborations develop new knowledge. Anchoring is fundamental in co-creative processes and for the same reason it is extremely important that it is the users who are seen as the experts. Change management in schools. With focus on the connection between the pedagogic visions, organization and everyday learning we co-design learning environments and educational methods. Implementation is crucial. Development of pedagogical practice with a focus on facilitated teaching, integration of the body and the physical environment. Development of your working approach. Focus on: body, space and processes. Change management processes with schools and organizations. Lecture about spaces. “How spaces influence our positions, domains and behavior”. It is important that the processes always are aligned with the user group, and therefore we tailor them as to fit exactly to your needs. If you are curious to know more please mail us. Anchoring the processes of change is primarily due to skill development in close relation to practice. Establishing a more experimental culture on set. Classification of the project (including learning environments) through user participation. A democratic process based on the different phases and working methods. 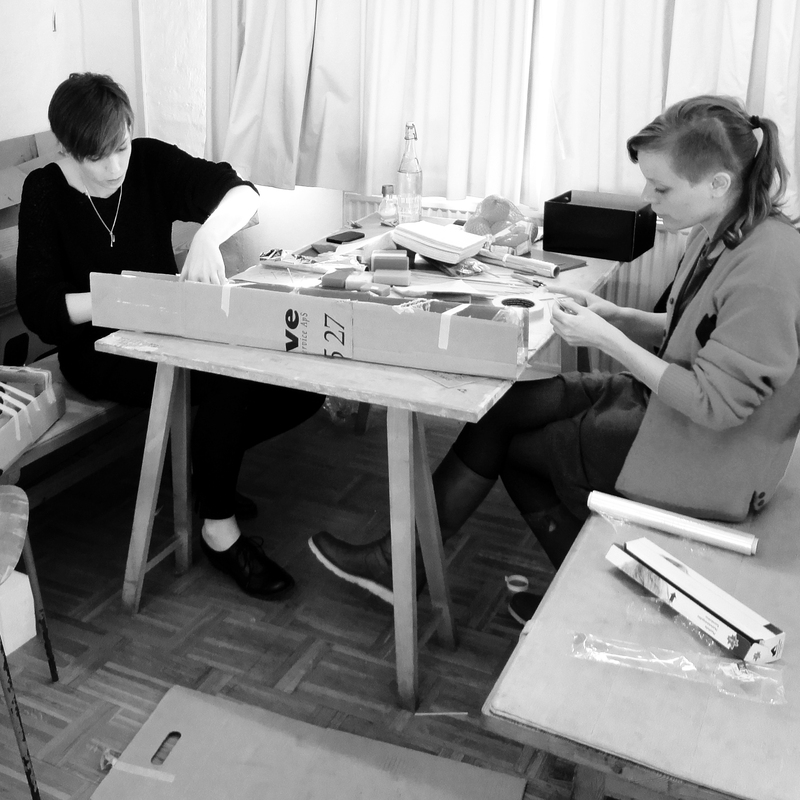 MoHo Co-creative Architects is founded by Moa Dickmark and Heidi Lyng in 2011. Moa Dickmark is MoHo’s networker and connector. Besides doing this she is also an architect. Heidi Lyng is the process designer and is also an architect and process consultant. Moa Dickmark and Heidi Lyng found MoHo Co-creative Architects in the fall of 2011. They met in 2007 during their first year at Aarhus School of Architecture, and have stuck together ever since. They started being interested in learning environments during their bachelor degree where they joined a school project in Kigali, Rwanda. Already at that time it Moa and Heidi started questioning if architects can design schools if they aren’t collaborating with the users. The master project later turned out to deal with exactly this field. The result of the final project was a “Co-creative process kit” for schools and designers, as well as a case study of a Danish school. Read more in the Danish Summary of The Children’s Village in Glesborg. The way through the architecture studies hasn’t been straight forward, and both Moa and Heidi has been doing other projects one the sideline – from developing architecture and city spaces to designing a design-orientated education format. Today MoHo is constantly developing their methods and makes use of new experiences when they co-create with users in various projects. The goal is to develop tools that make it possible for designers, architects, teachers, educators, school leaders and students to create good learning environments that fits with their pedagogical approach, and test how it can be used in different situations. MoHo’s co-creative processes are developed as interplay between theory and practice. Tools, props and techniques are tested together with the users. You are of course welcome to contact and connect with us either on mail, facebook or twitter.